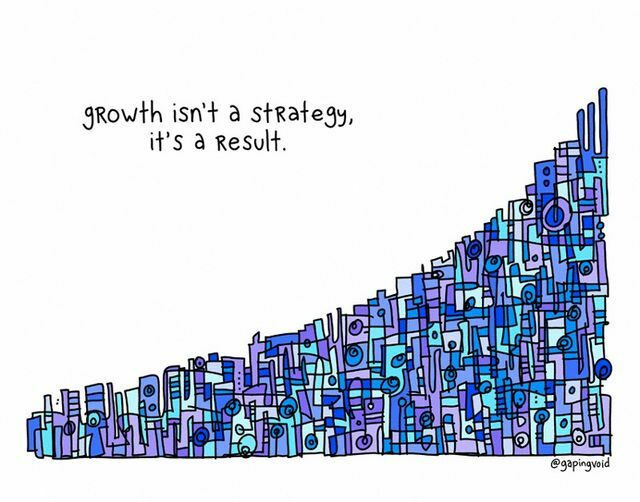 "Growth isn't a strategy; it's a result." This article contains lessons for mid-size business seeking to capitalise on their market position. Nothing lasts forever. Companies don't achieve sustained growth by protecting what they have; rather they should be willing to kill the cash cow before someone else does - ie disrupt yourself before you are disrupted! Inevitably, once there’s a large audience, companies have to disrupt themselves through innovation or they will be victims of their own success. That’s the classic Innovator’s Dilemma. Clay Christenson’s work isn't exactly a secret. Yet consumer companies get disrupted time over time because of the powerful inertia that occurs within the cocoon of success.